For nearly 30 years, DLT has been dedicated to solving public sector IT challenges. 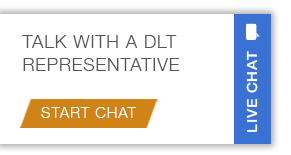 DLT has knowledge and experience helping public sector customers acquire the technology solutions they need, a vast contract portfolio, and a robust collection of technology solutions across six strategic solution sets — DLT makes it easy to find, select, and buy the solutions you need. Henry B. Gonzalez Convention Center, San Antonio, TX. Through the duration of this webinar, we examine how enterprise low code and case management can be applicable to some of the challenges we see in our state and local governments. We will explore use case stories and see for ourselves why Appian remins a trusted name and resource in the Public Sector. Demonstration of analyzing Unified Communication environments and WAN congestion. Demonstration of performance monitoring for unified communications and collaboration applications. Overview, specifications, and pricing of the Yuneec 3DR H520-G, a secure UAS solution for U.S. government projects. What makes a successful enterprise drone program? Get advice on safely sharing access, keeping your data secure, and much more in 3DR’s eBook.